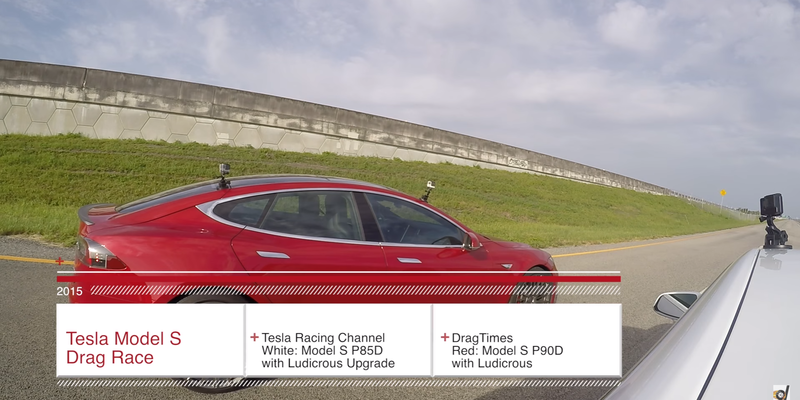 The Tesla Model S P90D on Ludicrous mode can actually pull just over 1 G of force – or more than the Earth’s gravity at the surface. We’ve seen plenty of Tesla owners put this to the test, mainly for reaction videos or drag races, but I think just to eat a snack is a first. Last year, Tesla had some troubles with the way it calculated the power output of its electric vehicles. The company had to go in mediation with over hundred of its customers in Norway and eventually changed the advertised horsepowers of the Model S P85D from 691 hp to 463 hp.